High quality cutlery featuring full tang, stainless molybdenum Vanadium steel with tapered grinding and stone finished blades. Double bolsters for superb balance. Superb balance, SyntheticÊhandles with three rivets. 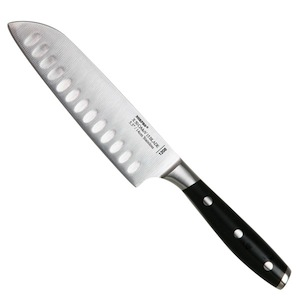 Blade is 5-1/2" long, Handle and bladeÊis 10" long.